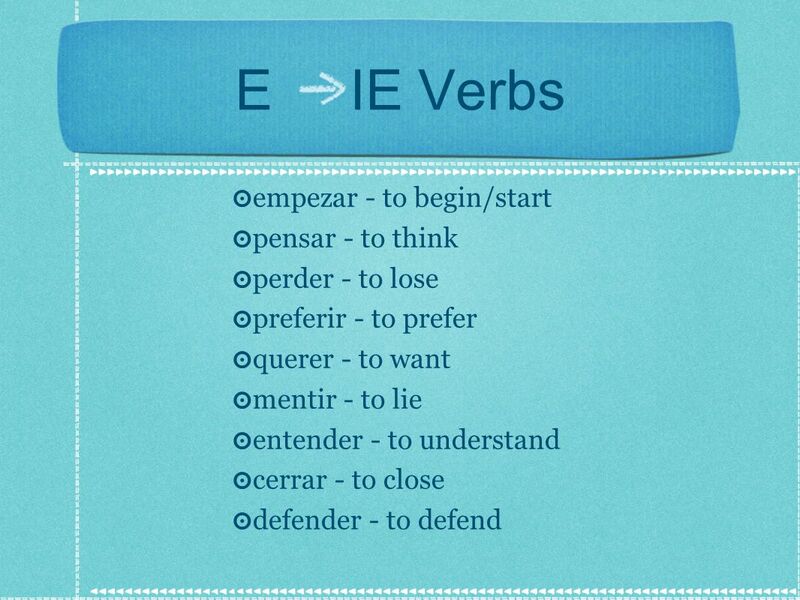 E IE (We'll start here) O UE E I Change the vowel in the stem closest to the ending. 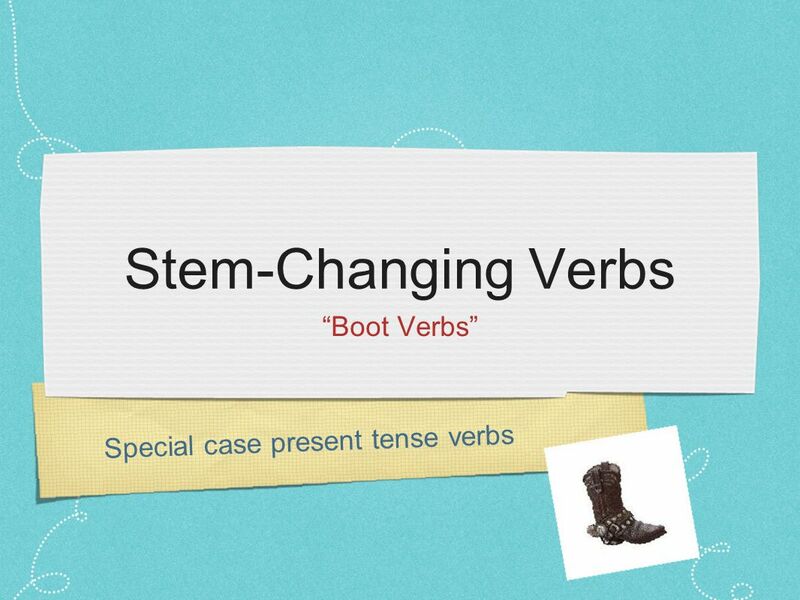 Download ppt "Stem-Changing Verbs “Boot Verbs” Special case present tense verbs." 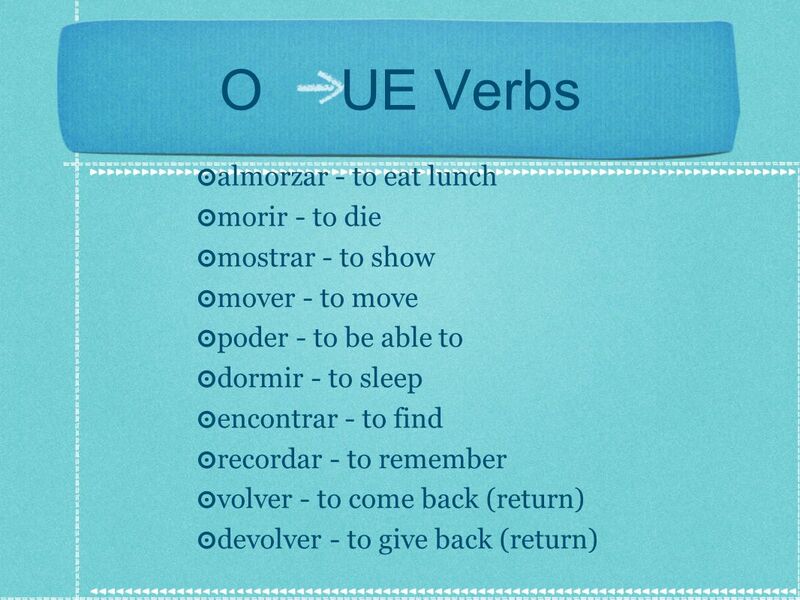 BOOT VERBS O-----UE SPANISH 1: UNIT 4:2 278. 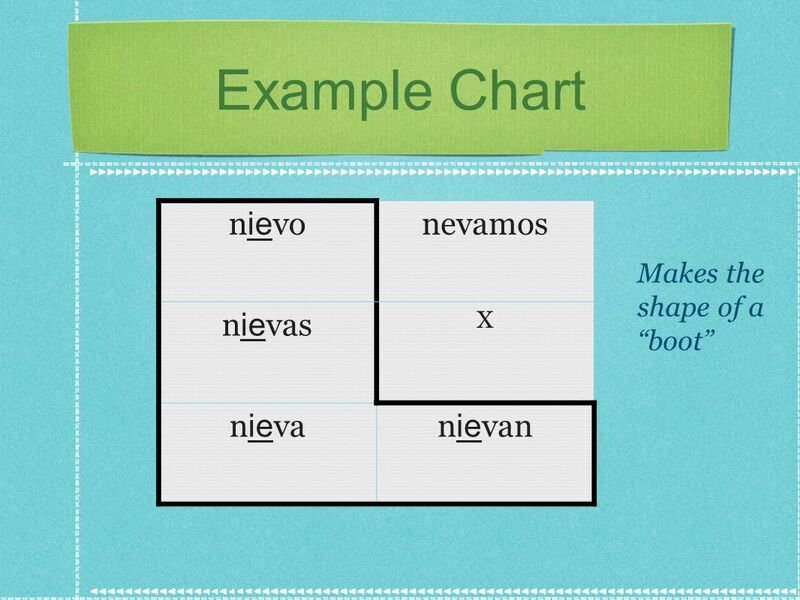 S tem changing verbs. 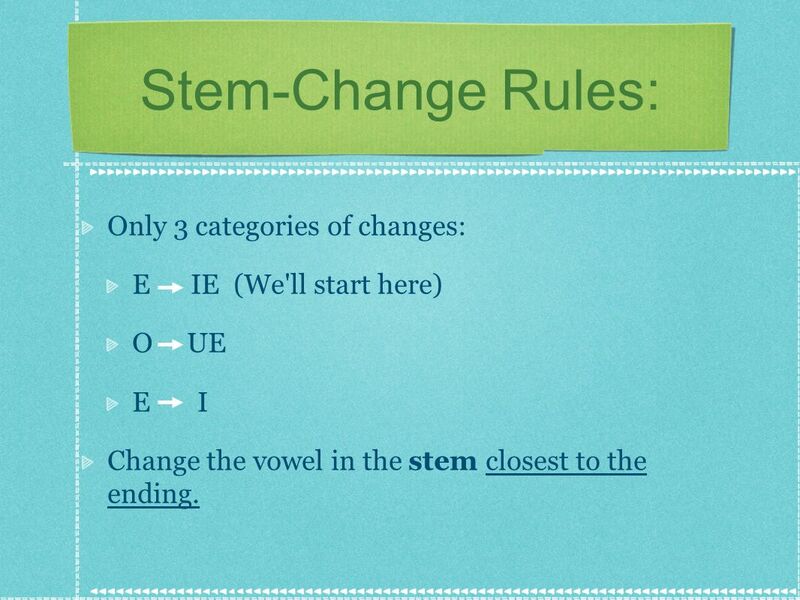 Stem changing infinitives Stem changing infinitives are named for what they do– change in the stem. 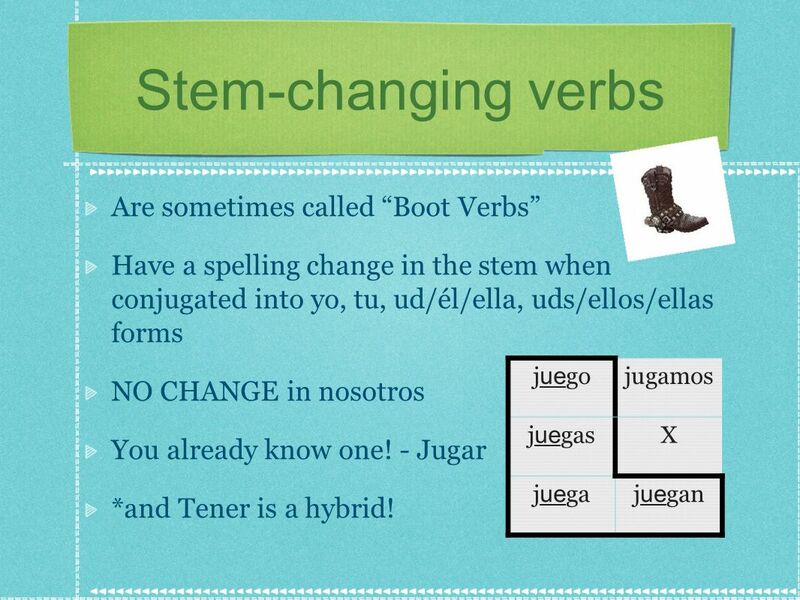 Stem Changing Verbs Here are the 4 types of Stem Changing verbs that exist in Spanish. O - ue E - ie U - ue E - i Here’s how it works: Go to the. 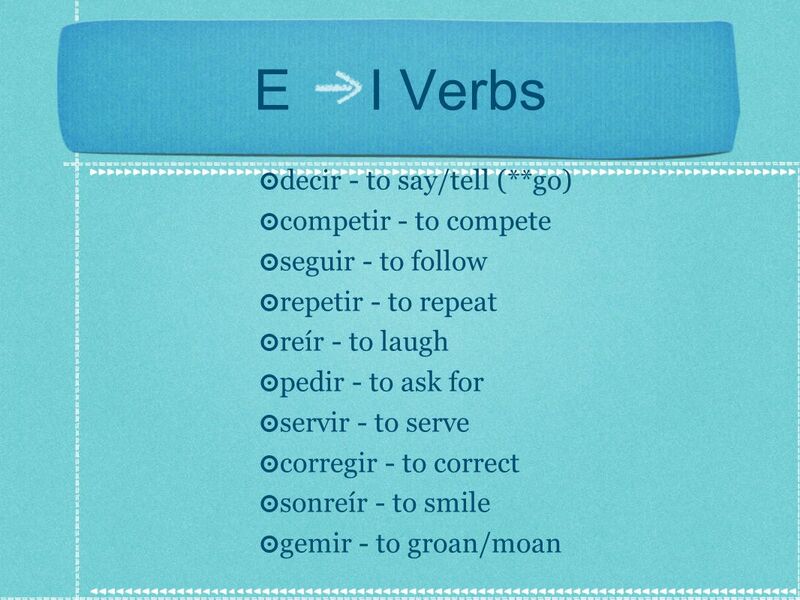 Stem-changing verbs The stem of a verb is the part of the infinitive that is left after you drop the ending –ar, -er, -ir. What is the stem of empezar? 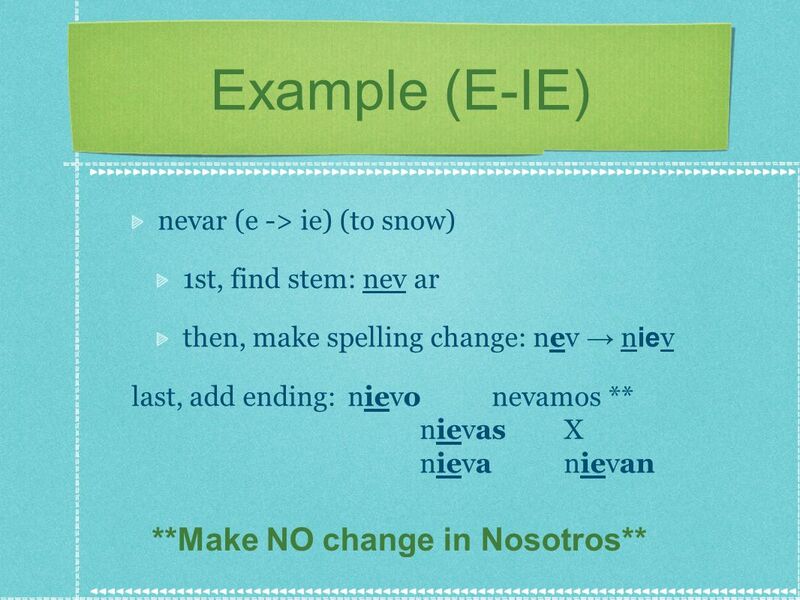 Stem-Changing Verbs Some verbs in Spanish language have stem change in four forms of the present tense. There are three types of verbs. Note that the. 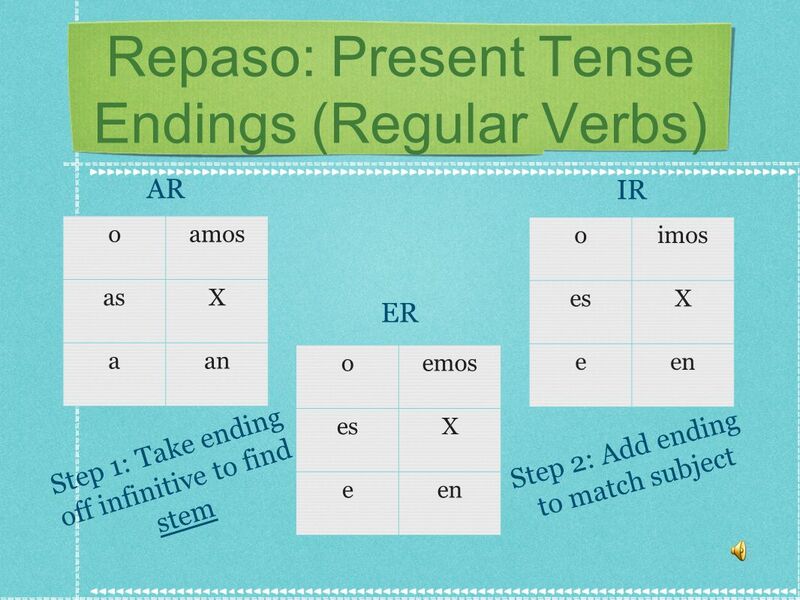 Stem Changing Verbs e ie Explanation of Stem-Changing Verbs Practice with e ie Stem Changing Verbs o ue Explanation of Stem-Changing Verbs Practice with.